A lot of good things appeared in my Twitter stream today and I thought I would share some of them here. First of all, two classics have been adapted into graphic novels, The Odyssey (via @rogueclassicist) and Don Quixote (via @batpoet). I suppose adventures stories lend themselves to a visual format, especially in the male-dominated graphic novel/comic book market. What are the chances we’ll see a graphic Jane Eyre or Pride and Prejudice? The online book community is mourning the loss of Michael S. Hart, founder of Project Gutenberg. He is said to have invented the ebook, and began by hand-typing classics such as Homer, Shakespeare, and the Bible into his computer and posting them online. Now the work is carried out by an army of volunteers all over the world using scanners and optical character recognition. However the human touch is still required, and you can help by joining Distributed Proofreaders. If you are the sort of person who notices the typos in today’s poorly edited books, you’re just the sort of person DP needs! 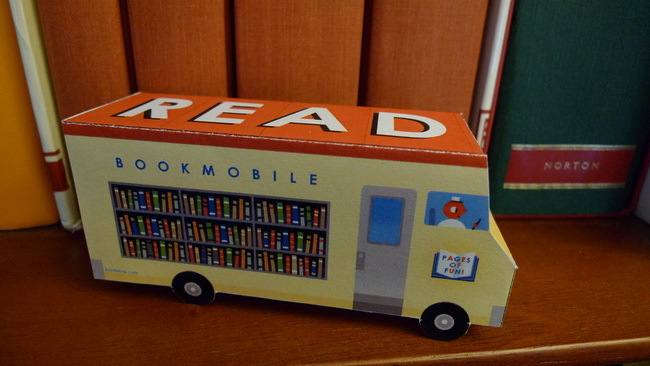 There’s a nice community of book lovers there and it’s a great way to give back to the world of books. Finally, have you ever noticed that some languages sound faster than others? Have you wondered if they are saying more or if there is just a lot of “filler” in the language? Well, according to some recent research [here’s the whole paper](via @StanCarey), it seems that the information density of a language is inversely proportional to the speed with which it is spoken, with the end result that languages (at least the ones that were tested) dish out roughly the same amount of information in the same amount of time. In other words, languages that sound faster don’t really say more than languages that sound slower. I don’t know if this research is conclusive or has been confirmed elsewhere, but it makes me wonder if the brain has an optimal speed for taking in verbal information, regardless of language. I do know one thing for sure: my brain is not fast enough to take in everything on Twitter! I haven’t been a big fan of Penguin classics, mainly because the books, unlike their contents, deteriorate so quickly. They are books to be read once and then left to yellow and dissolve on the shelf. But Penguin is making up for it with their new beautifully designed clothbound classics. The covers are the work of Penguin’s senior cover designer, Coralie Bickford-Smith. In this interview at Design*Sponge, she talks about her influences, including the Arts and Crafts movement, and how she tailored each design to the book and to the equipment and materials used to produce them. I haven’t seen one myself but I would hope they paid equal attention to the quality of the interiors. 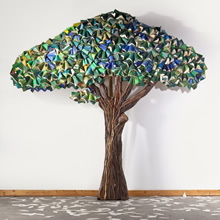 Using Amazon’s “Look Inside” feature I see that they are printed on Forest Stewardship Council-approved paper, which is a good sign, but doesn’t go as far as the Modern Library hardcovers, which are printed on recycled and acid-free paper. Interestingly, they also come with all the usual editorial extras of Penguin Classics, such as introduction, chronology, and notes. I think this is unusual in hardcover classics, except for one-off translations. I don’t know if I will get any myself. I already have copies of my favourites and don’t really have room for much else, but I love the cover of their Odyssey so much I might just get that one. I already have two editions of it, but it’s good to have multiple translations of ancient classics. Alas, that particular volume doesn’t seem to be available yet, and I can’t find out which translation it is, though I would guess Fagles, which I don’t have. I’ll just have to wait. If you’d like to ogle more of these books, see this Flickr photo gallery. UPDATE: After reading some of the reader comments about these books here and here, I am now doubtful about the quality of these books. One reader says that the foil decoration comes off quite easily when the book is transported in a bag, and another reports that the paper is poor and the binding is glued rather than stitched. If that’s true then these books are not for me. I’d rather have a plain Modern Library hardcover that is beautifully printed on recycled, acid-free cream paper with a proper stitched binding. That is a book that will last, a book that is a pleasure to read, a book that is worthy of its contents. I was very fortunate as a child to have been enrolled in French Immersion in my middle grades and then advanced French in high school. I spent a full third of my public education entirely in French, and more years with French tuition than without. French is one of the two official languages of my country, and although I didn’t think of it this way at the time, knowing both languages makes me a better Canadian and in a small way contributes to the unity of our country. It also opens up to me the world of French literature… at least in theory. I confess I haven’t made much use of my French since high school, and it has naturally deteriorated. But I remember, at the height of my fluency, reading Voltaire’s Candide, with much help from footnotes and our teacher in order to penetrate the 18th century French. It seemed impossible at first but little by little we worked our way through and before I knew it I was not only reading it but writing essays about it, in French. Seeing Candide at the Oxford World’s Classics Audio Guides site reminded me of it again, and I thought I should get a copy to see if I can still read it. And did I mention that BiblioLycée editions use footnotes? But of course! The French have class. I haven’t seen anything comparable to these books in English. Even the Norton Critical Editions, which do supply mountains of background material, lack study questions and abridge long works. 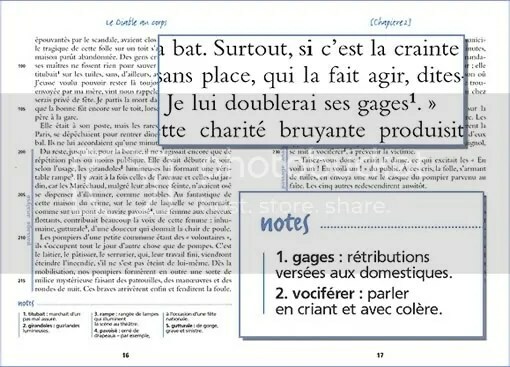 The BiblioLycée editions are like mini-textbooks—a whole literature course in one volume. Educators can also download free teaching guides with detailed curriculum suggestions and examination questions. Some might see all this as nannying but I’m sure teachers appreciate anything that makes their job easier and I can see the books being very useful for autodidacts as well. As for Candide, I think I had better start off with a bilingual edition, but I will keep the BiblioLycée in mind. I wish English classics publishers would also keep it in mind and look at developing their critical editions into something more than what they are. A little French might do them some good too. I stumbled across a nifty new feature at the Oxford World’s Classics website. 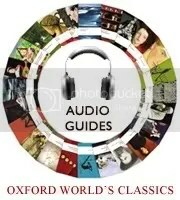 They are building up a collection of short audio guides by the editors of their new critical editions. I listened to the audio guide for Pride and Prejudice and found it quite rewarding. The collection is small now but is supposed to grow. Alas they don’t offer a feed but you can sign up for monthly email updates. Happy listening! I’ve been noticing a trend in the book business lately in which vendors of electronic book readers throw in some “classics” with their gadget to sweeten the deal. The iLiad, Elonex, and Sony Reader can be found shipping with fifty to a hundred pre-loaded public-domain books. What’s more, one of the selling points of all the readers is that they can, with more or less digital wizardry, be loaded with countless free books from sites like feedbooks, ManyBooks.net, and Project Gutenberg. It seems as though classics have become the prize in the box of Cracker Jacks—a little something extra with no monetary value that’s fun to find in the bottom of the box. I have mixed feelings about this. Here we have some of the greatest literature of all time being used as a marketing tool. On the other hand, perhaps it will expose some readers to books they would otherwise not seek. There’s also the question of what ebooks will do to classics in print. Will people, especially students, keep buying paperback classics when they can download them for free? Bookseller.com has an interesting article on the subject, which expresses confidence that the “value added” classic in print, i.e. critical editions, will always do well. However I do wonder about one comment Alessandro Gallenzi of Oneworld Classics: “One of the issues with the [free] e-books is that they are completely­ rubbish—it’s just text.” Well, isn’t that the way they were written? How many first editions had notes and introductions and chronologies of the author’s life? Do we really need editorial content included in the book in order to benefit from reading it? With online resources we are less dependent than ever on a book’s editor for helping us understand a text and its context. Indeed a serious student might prefer to get multiple opinions online than to rely on a single editor. If I was a classics publisher I wouldn’t sit around watching the ebook ship sail away, I’d climb aboard with my “value added” and see about making classics in electronic format worth something. Extended hyperlinked multimedia notes might be a good start. Bringing together multiple editorial perspectives might be another possibility. Imagine if Oxford World’s Classics or Penguin Classics put all the critical content from all the past editions of a single work together in one electronic package? Something like that might be worth more than a Cracker Jack prize. I have been a fan of Oxford World’s Classics, both hardcover and paperback, for some time, but lately they have been hard to find, especially in Canada. This is a shame because I find that OWCs have much better editorial content than their main rival, Penguin Classics, and are also better made (full comparison here). So, I was quite pleased when Oxford University Press announced that it would be re-issuing its Oxford World’s Classics series with a new look. The good people at OUP recently sent me a few samples to look at, and I’m pleased to report that they continue to maintain the high Oxford standard. Just having the series in print again would have been good enough for me, but the new cover design really is more aesthetically pleasing, and the books seem to be better made than their predecessors. The covers have a matte finish with beautiful, relevant artwork and a clean, white band for the title text. The spines are white with the familiar OWC red band and a small detail from the cover art at the top. The binding feels more supple and secure than older editions, though that may have something to do with their youth. The paper also feels smoother and stronger than it used to be. I have only perused the texts and am no expert on them so my comments relate mainly to the editorial materials. These vary depending on the text, so I will treat each one individually just to give you a taste of the different possibilities. I appreciate that Oxford does not take a cookie-cutter approach to its classics, but tailors each edition individually. Let’s start with what might be the largest OWC, The Bible: Authorized King James Version with Apocrypha. It is a full two and a quarter inches thick, and has an extra thick binding to hold it all together. Unlike the other books in this series the paper is bright white and thin, though not as thin as typical bible paper. This makes for excellent reading with no bleed-through, unlike many (if not most) more expensive bibles. The editors have provided a long (36 pp.) introduction, bibliography, short glossary, good maps, and 120 pages of explanatory notes covering each section and book of the Bible. The editorial approach is historical-critical, and the editors present the Bible as “the basic book of our civilization,” and the KJV in particular as “a classic book of English literature.” It would make an excellent edition for someone who wants to read the King James Bible for its impact on English literature and culture. At the other end of the size scale is Classical Literary Criticism, a thin volume which collects writings on literature by Plato, Aristotle, Horace, and others. The muted cover art is Rembrandt’s Aristotle with a bust of Homer; very appropriate. After the short general introduction the texts are presented bare. There are introductions to each text in the endnotes, but these are quite brief, with the exception of Aristotle’s Poetics, which gets a more thorough treatment. An index of proper names, with dates and field of work, finishes off this spare volume. Evidently the editors felt that the classics speak for themselves. I was somewhat disappointed with the Oxford World’s Classics edition of the Qur’an. Though the editor and translator is a scholar, the introduction has an apologist slant, and sometimes seems to present religious doctrine as fact. This is not what I would expect from Oxford, but I suppose it is a sign of the times. It is now nearly impossible to publicly comment on the Qur’an in any other way without being subjected to threats and acts of violence. The unfortunate consequence of this is that the translation is suspect. Some verses do indeed appear to be softened: “Men are the managers of the affairs of women” in Arberry becomes “Husbands should take good care of their wives” in this edition. Other contentious verses have more conventional translations, sometimes with footnotes suggesting how to interpret them. The language is formal, modern English, which may not exactly reflect the exalted, archaic language of the original, but it helps to make the meaning clear. The book also includes a bibliography, chronology, map, index, and footnotes. It would be a good edition for someone who wants an easy-to-read edition of this important book. Just keep in mind that it may be a somewhat softer interpretation of the text than others. To the high-flown language that men keep for kings. Last is Milton’s Paradise Lost, which gets my enthusiastic approval for having footnotes! This edition is from 2004, as is the Qur’an, which also has footnotes, so perhaps this is the new standard for Oxford. The system of indicating notes is one I haven’t seen before and I like it very much. Any line with a note has the line number printed in roman type in the margin, while regular line numbers are italicized. The notes are then listed by line number at the bottom of the page. I think this makes for smoother reading than if asterisks or other signs were used within the line. Listing the notes by line number also makes it very easy to jump back to the line you were reading. The book also features a thorough introduction, note on the text, bibliography, and chronology. I hope this gives you a sense of what the Oxford World’s Classics series has to offer the serious reader. I should add that the prices of these books are very reasonable and comparable to the Penguin Classics for what I consider to be a better product. I plan to stock up while they are available, replacing some of my worn out paperbacks and filling in some of the gaps in my library. Although I generally don’t pay much attention to how books look, I won’t deny that the idea of having a whole host of matching white spines on my shelves is rather attractive. Let the shopping begin! ‘Tis the season to tie up loose ends for the year and to that end I have completed my quest to determine which editions of the classics I should choose when making additions to my library (see Edition Dilemma). I already went through the hardcovers and now it’s the paperbacks’ turn. 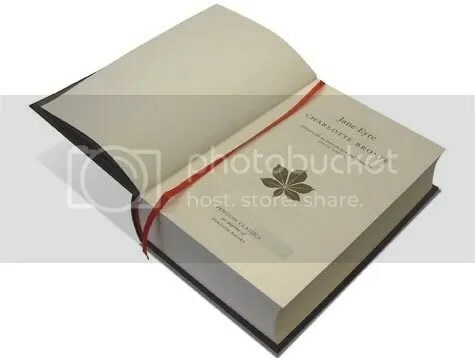 I looked at four paperback editions of Jane Eyre: Penguin Classics, Modern Library Classics, Oxford World’s Classics, and Norton Critical Edition. In terms of physical form, the Norton Critical Edition wins hands down. The typeface is beautiful, the paper is wonderfully smooth and creamy, the binding is solid, and the elongated shape is pleasingly different. The Modern Library edition is also very legible with it’s large type, an important consideration for those with less than perfect vision. However both it and the Penguin are a bit too floppy for easy one-handed reading. The Oxford’s type is a hair larger than the Penguin and has much sturdier paper that doesn’t force you to read on a curve. All four editions vary greatly in the amount and kind of supporting material they include. The Modern Library edition has the least extra material, comprising a biographical sketch, short introduction, notes (which I will cover in more detail below), “Commentary,” and a reading group guide. The reading group guide is available at the Modern Library website, so that is no reason to buy this book. The “Commentary” section consists of comments on the book by other famous writers and critics such as William Makepeace Thackeray, Virginia Woolf, and Anthony Trollope. As fun as it was to read opinions on Jane Eyre from such illustrious sources, it didn’t really add anything to my understanding of the book. The Penguin Classics edition has a long introduction, a brief note on the text, further reading, and extensive notes. The introduction seemed to be trying too hard to say something “new” about Jane Eyre and was more interested in reviewing past criticism of the text than in examining the text itself. Moreover I found myself disagreeing with practically everything the editor said. The “further reading” also seems to steer the reader more towards a tour of past criticism of the novel than to resources that would help one form one’s own opinions. The supporting material in the Oxford World Classics edition is definitely a cut above. The introduction is thorough, the note on the text is very detailed, and the bibliography is well-balanced between context and criticism. The detailed, 6-page chronology is very helpful since it lists important historical and cultural events beside the events in Charlotte Brontë’s life; I consider this a major highlight of this edition. The appendix includes the notes and seven pages of press reviews from when book was first published. Like the “Commentary” section in the Modern Library edition, this was interesting but not particularly helpful. The Norton Critical Edition is in a class by itself, and is intended not for the recreational reader but for the college student. It contains a whopping 150 pages of extra material, about half of which is context and half of which is criticism. The context section consists of original sources such as letters, juvenilia, and diary entries that give a sense of the life and personality of Charlotte Brontë and the development of Jane Eyre. The criticism section has several essays by various critics offering different points of view, and even includes two short essays on film adaptations of Jane Eyre. There is enough here to write a term paper. The bibliography is also good but the author chronology is far too brief. For me, one of the most important considerations is the explanatory notes. The Modern Library has the fewest (92), the Norton Critical edition does better with 205 notes, and the Oxford World Classics and Penguin Classics are evenly matched at 407 and 412 notes respectively. They all explain biblical allusions, northern English idioms, and all except the Modern Library edition also explain literary and cultural allusions. The Oxford World Classics edition offers the most background for allusions, for example, including Bible quotations where other editions merely give the reference. It also suggests which real life places or people might be the models for settings and characters in the novel. The Penguin edition includes critical opinions (sometimes lengthy) which I find rather intrusive and is, for me, another mark against the Penguin. Both the Penguin and Oxford offer more non-idiomatic word definitions than the other editions. The Norton has intentionally kept its notes to a minimum, and they tend to be quite brief, with the expectation that a student should be able to look up standard English words, bible passages, and details on literary allusions. This would be inconvenient for a reader who didn’t want haul a college-level dictionary, a bible, and a literature companion around with them as they read this book, but since I do my reading at home and enjoy looking things up, this is not much of a deterrent for me. The best part about the Norton notes, however is that they are footnotes!! I loathe, hate, and despise endnotes and think they should be outlawed. The footnotes alone might induce me to invest in the Norton. Overall my preference (if you hadn’t already guessed) is for the Norton because of it’s aesthetics and because it respects our intelligence enough to let us look things up and form our own opinions based on the text and the original sources included in the volume. Unfortunately this sort of quality doesn’t come cheap, and the Norton is the most expensive of the bunch. There are two other drawbacks to the Norton. A minor one is that that author chronology is nowhere near as good as the one in the Oxford, especially in terms of cultural and historical context, but that is something that can easily be looked up. A more serious problem is that Norton’s catalogue is very limited, with fewer than 200 titles, compared to roughly 500 Modern Library Classics, 700 Oxford World’s Classics, and over a thousand Penguin Classics titles. So in cases where a title is not available from Norton, my second choice is the Oxford World’s Classics for it’s quality supporting material and sturdy construction. A note for the Slaves of Golconda: The Picture of Dorian Gray is available in paperback in a Norton Critical Edition (which contains two versions of the work; ISBN 0393955680) as well as an Oxford World’s Classics edition (0192833650), and in hardcover from Modern Library Classics (0679600019). Original series: 1901–1978, about 620 titles, plus six minor spinoff series. Current series: 1999–ongoing (? ), 23 titles as of 2002. Original series: 1906–1975, 994 or 1,081 titles (opinions vary; the original goal was 1,000). Current series: 1991–ongoing, 337 titles in print, plus three minor spinoff series. Original series: 1917–1970, about 600 or 750 titles (opinions vary), plus three spinoff series. Brief revival 1977–1985, 21 titles. Current series: 1992–ongoing, 132 titles in print, by my count. It figures that my favourites in terms of readability, the new Oxford World’s Classics and Modern Library, have the poorest catalogues. (Neither has all the Jane Austen books in hardcover. Horrors!) They don’t come close to Everyman’s Library’s offerings, either past or present. The three series also differ in their emphasis (at least originally), with Oxford including non-Western works, the Modern Library focusing more on (you guessed it) modern works, and Everyman’s sticking to the classics. It would be interesting to compare their catalogues to Adler’s great books list of about 500 works. Another interesting comparison would be with Penguin Classics’ 1,082 paperback titles in print (a number that is suspiciously close to the original Everyman’s catalogue—coincidence?). But the most relevant comparison for me would be the quality and readability of the older series. Of course this is complicated by the fact that there are multiple editions of many titles (including no less than four editions of Jane Eyre in the Oxford World’s Classics alone), but I want at least a taste of what the older series have to offer. I already have a 1924 (alas not the 1901) Oxford World’s Classics Jane Eyre en route, but have yet to track down the others. I had no idea this project would turn out to be quite so involved, but that always seems to be the way with “little” projects. Stay tuned. There was no possibility of taking a walk that day. For those unfortunates who haven’t read it yet, the above is the first line of Charlotte Brontë’s classic, Jane Eyre. I now have six new-to-me copies of that first line (with the lines that come after it) in order to carry out my experiment to determine which is my favourite publisher of the classics (see Edition Dilemma). My experiment has expanded to include hardcover versions, of which I have bought three, along with paperbacks, which will total four when the last one gets here. The hardcover and paperback editions are published for different uses (pleasure versus study, respectively) and so I will evaluate them separately, starting with the hardcovers. My purpose in buying hardcover classics would be to have beautiful, durable copies of my favourite books conducive to multiple readings, purely for enjoyment. One flaw in the evaluation that follows is that I didn’t consider translation, which of course doesn’t apply to Jane Eyre but would important if I ever fell in love with Plato or Aristotle. I don’t think I would know a good translation from a mediocre one, however, so at this stage I accept whatever translation the powers that be choose for my favourite edition. The Everyman’s Library edition is the most visually appealing, at least closed. It has a rich burgundy cloth cover with gold decoration, nicely curved spine, and matching silk ribbon marker. (The books in the series come in a variety of colours.) It is the only hardcover edition to include significant study aids, namely a lengthy introduction, selected bibliography, and parallel chronologies of the author’s life, literary context, and historical events. The pages have a pleasing amount of white space, especially at the bottom, however there is so much show-through of print that it confuses the eye. The wide margins also result in short line length (more on this below). The right hand pages are headed by the chapter numbers (Roman), which I like. The Modern Library edition (1993) has a grey dustjacket with portrait (unidentified) that matches the gray cloth cover. (The 1997 edition has a different dustjacket and may well have a different cover and binding—alas I didn’t know about the more recent version when I ordered). The binding is square and the book is quite fat, totalling nearly 700 pages. It really resembles a concrete office building, but makes up for it inside. The reason for its stoutness is that the book is printed in a large, dark typeface with wide leading (the space between the lines), made even more readable by the superior opacity of the (acid-free recycled) paper. It is definitely the most immediately readable of the three, although it almost seems too easy—I think I have an idea that reading classics should be hard, a test of intellectual machismo. The pages are smaller than the trade paperback editions (though not pocket-book sized) resulting in a short line length that I know appeals to some but I find it more work having to move to the next line after only nine or ten words. I should add that a short biographical note is included with the text. Lastly, the Oxford World’s Classics, which turned out to be a little more complicated than I first thought (more on that later). The book I ordered is a mini-hardback, slightly shorter and wider than a pocketbook. The dustjacket is a soothing pink and cream, and the cover is a nice navy cloth with a round spine. (The dustjacket colours vary by title, but I suspect the cloth cover is the same throughout the series.) Like the rest of the series it includes a short, personal introduction by a contemporary author, in this case David Malouf. The right hand pages are headed by both volume and chapter number, which is even better than the Everyman’s Library chapter numbers. 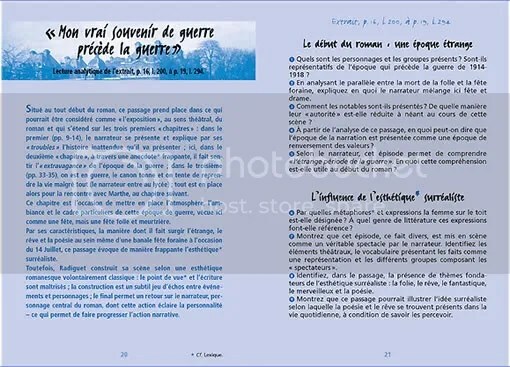 The pages themselves are of intermediate opacity, with a small, slender, and elegant typeface. The print is not as dark as I would like, but I actually find it more pleasing to the eye than the chunkier and bolder Modern Library and Everyman’s Library editions. I also find that being forced to focus in on the smaller type reins in my easily distractable mind and helps me to enter the world of the book. For those without 20/20 vision, however, this might be more of a nuisance than a help. The small size of the book makes it very light and comfortable to hold and control in the hand. I have always had a thing for compact little books with small type so this book appeals to me in a visceral way. Though the Everyman’s Library edition is beautiful to look at, and would look stunning in multi-coloured multiples on the bookshelf, I find it to be the least readable and most unweildy (due to its height) of the three. 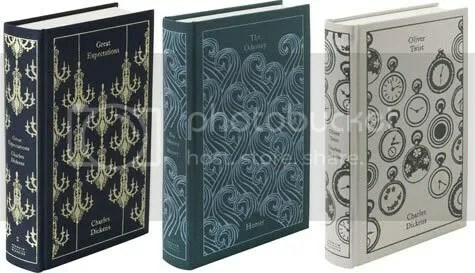 I am torn between the Modern Library and Oxford World’s Classics editions, the former being easier to read and printed on recycled paper, the latter beaing easier to handle and just plain cute. I should perhaps take into consideration the fact that my eyesight is likely to decline in the coming decades, but I might just as easily consider that my future arthritic hands might prefer a slighter volume. But in the absence of either a major flaw or major advantage in either volume, I will have to go with feel. The type of the Modern Library edition just seems a bit juvenile to me, whereas the Oxford type is classic and smooth, and as I said, I just have a thing for little books. As for catalogue depth, that is somewhat difficult to determine since none of publishers explicitly say (on their websites) how many titles they publish in hardcover. The Everyman’s Library has a catalogue of 377 hardcover volumes, plus some in its “Contemporary Classics” series which would be considered classics already (e.g. 1984). The Modern Library lists 775 titles in its catalogue, but most of those are paperback and e-books, and there are multiple versions of many works, so the number of hardcover versions is certainly no more than that of the Everyman’s Library, and probably less. The Oxford World’s Classics website boasts of its 700 titles, but this refers only to its paperback catalogue, with no mention of hardcovers at all. After some digging I found a comprehensive hardcover catalogue online, as well as a Yahoo! Group dedicated to the series. The original OWC series consists of 600-plus mini-hardbacks published between 1901 and 1978, the very first title being Jane Eyre (only 121 shopping days until Christmas, folks…). The book I reviewed comes from one of the seven spinoff series, specifically, the Oxford World’s Classics Centenary Series, begun in 1999, with only 23 titles published so far. I also have a copy of The Mill on the Floss from the Oxford World’s Classics Chancellor Press Editions, published 1985-1987. The latter is smaller (4″x 6″), with an even smaller and slightly more bulky typeface and more show-through, making it less readable than the later series. What I lack (though not for long) is an example from the original series to determine its quality and readability. But even if the books from the original series are pleasing to read, I don’t know if it wise to commit to collecting from an out of print series (plus I wouldn’t have as much confidence in early 20th century translations). On the other hand, since I only plan to splurge on hardcovers for a few favourites, availability shouldn’t be too much of a problem. If I was trying to build up a complete library of matching volumes then availability would be a bigger issue. Based on the books I have looked at, my favourite is the Oxford World’s Classics Centenary edition, but with it’s extremely limited catalogue, my second choice, the Modern Library, will no doubt end up occupying a larger proportion of my bookshelves. This may change when I get my hands on an original Oxford World’s Classics series volume, but until then, it looks like the Modern Library is the overall best choice in hardcovers. In Cold Mountain, Ada makes some disparaging comments about George Eliot’s Adam Bede, and as I had a copy sitting on my bookshelf waiting to be read, I decided to find out what she was talking about. Ignoring Susan Wise-Bauer‘s advice to read the text first, I started with the lengthy and scholarly Introduction in my Penguin Classics edition of the book. I was impressed with the (potential) usefulness of the Further Reading section, and the Notes at the back are providing even more context and leads for further study. This has got me wondering which classics series is the best for this sort of extra material. When I am in the used book store, faced with five different editions of the same classic, which should I chose? I revisited my post on the Modern Library and looked up both that series and the Oxford World Classics, as well as the Penguin Classics which dominate my bookshelves. In my searching I also discovered the Norton Critical Editions, which I hadn’t encountered before. I compared four editions of Jane Eyre, using amazon’s handy search feature. Each imprint has something different to offer, apart from the obligatory introduction and notes. The Norton Critical Edition (534 pp) has a Preface rather than an introduction (not the author’s preface), and instead of notes has an 80-page section called Contexts, which appears (this book is not searchable on amazon) to present snippets from Brontë’s letters and other information on her personal and professional lives. The Criticism section, which gives the series its name, has six (in the case of Jane Eyre) critical essays spanning 60 pages. The book finishes with A Chronology and Selected Bibliography. The Modern Library edition intrigues me because of the Commentary section which puts the book in the context of the intellectual and artistic life of the time. It is also by far the most lengthy, but the lack of a bibliography concerns me (although it’s possible that references are incorporated by the introduction). The Oxford World Classics website gives the most information about their approach and features, and the Oxford reputation carries a lot of weight with me (plus I feel culturally more at home with English rather than American sources—they don’t call this British Columbia for nothing!). Penguin, though more ubiquitous than the other series, seems to have the least to offer (other than one-stop shopping). The Norton Critical Edition, on the other hand, provides the widest variety of extra information, but costs about 50% more than the others. It also lacks the scope of the other series, with only about a hundred titles of British fiction in print. Of course what really matters is the editing and the scholarship of the extra material, and there is only one way to compare that. 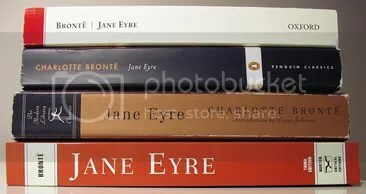 I propose to obtain a copy of each edition of Jane Eyre and see if one stands out above the rest. This will accomplish two goals: one, I will know which series suits me best; and two, I will have three more books (or four, counting my plain jane Signet Classics edition) to release and track with BookCrossing! Here are a couple of articles about the classics publishing business, with more information and opinions about the series mentioned here. The Modern Library Classics edition (752 pp) includes a Commentary section which reproduces comments on the work by other notable authors. In the case of Jane Eyre, we have opinions from William Makepeace Thackeray (to whom the book was dedicated), George Eliot, G.K. Chesterton, Virgina Woolf, George Saintsbury, Elizabeth Rigby, Anthony Trollope, and even the author herself. There is also a Reading Group Guide, which is the same as the Reading Guides available on the Modern Library website. The Oxford World Classics edition (544 pp) includes a Note on the Text, Select Bibliography, A Chronology of Charlotte Bronte, and an appendix with Opinions of the Press (as printed at the end of the third edition). The Penguin Classics edition (576 pp) has the least additional materials, namely a Note on the Text and Selected Further Reading.